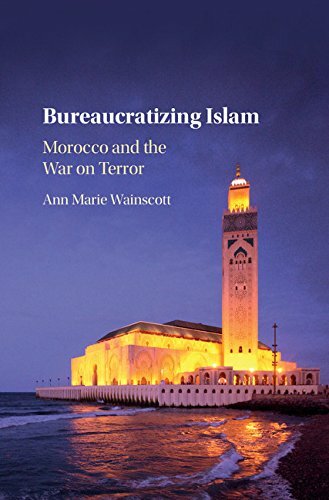 Ann Wainscott will join POMEPS to discuss her new book, Bureaucratizing Islam: Morocco and the War on Terror (Cambridge University Press, 2017) at the Elliott School for International Affairs, Room 505 from 12:00 pm- 1:15 pm.This innovative and insightful book examines how states in the Middle East and North Africa have responded to the War on Terror by investigating Morocco’s unique approach to counter-terrorism: the bureaucratization of religion. Morocco’s strategy unique relies on reforms that seek to transform the country’s religious institutions into tools for rewarding loyalty and discouraging dissent from religious elites. Through these measures they have limited opposition through an enduring form of institutional control, accommodating some of the country’s most virulent critics. This book will be of great use to researchers and scholars of Middle Eastern politics, and it will also appeal to those policymakers interested in security studies and counter-terrorism policies. Ann Wainscott is an assistant professor of political science at Miami University in Ohio where she teaches Middle East politics. She is currently on leave to serve as the American Academy of Religion senior fellow at the United States Institute Institute of Peace (USIP). Prior to teaching at Miami, she taught at Saint Louis University for four years. She has conducted fieldwork in Morocco, Senegal, Ghana, and Mali. She earned a PhD from the University of Florida in 2013.